Have you ever have noticed how different parts of your home may feel cooler or warmer despite being set to the same temperature? Perhaps your upstairs feels stuffy while the downstairs is cool and comfortable. Or you find a specific spot in your kitchen always feels drafty. This is due to hot and cold spots within your home. The temperature really does fluctuate due to the design of the house; it’s not just your imagination! This common problem sparked the creation of HVAC zone systems. These systems are designed to address these inconsistencies and allow you to reach optimal comfort in each area of your home. These areas, or zones, have their own programming and controls so you set the temperature accordingly. By using dampers in the ductwork, these systems can zone the air to different parts of your home. The air is regulated to specific zones you set so you can enjoy different temperature levels throughout your house and account for differing comfort levels. They also increase the energy efficiency of your HVAC system. You can zone your home to heat or cool only specific areas as much as needed and reap the costs savings. Save on energy costs by only heating or cooling occupied spaces. Keep your upstairs cool during the summer at night while maintaining a warmer temperature downstairs or vice versa. Can you convert your current HVAC system into a zoned one? The answer is yes! These systems are particularly good choices for homes with open floor plans, lots of windows, multiple levels, finished attics, and basements. Zoned HVAC systems need dampers in the ductwork, zone control panels, programmable thermostats, and sensors to function properly. At American Heating and Cooling, we can help you select and install the right zoned system for your home. For some people, it’s as easy as dividing the home into levels per floor. For others, you’ll need to consider preferences and hot and cold spots as well as the design of your home. Think about spaces with lots of windows or newer additions can cause differences in temperature and comfort. ADDING AN HVAC ZONING SYSTEM IS A SMART CHOICE! You’ll save on energy costs, reduce waste, and maximize comfort. But it’s also a big project and one that requires care and attention. Avoid the heartache of dealing with poorly designed or installed HVAC system by working with experienced professionals. At American Heating and Cooling, your comfort is our passion.  We’ll work with you to find the right HVAC zoning system for your home, help you design the zones, and make sure the installation goes off without a hitch! Get in touch with us today and get ready to enjoy increased comfort!